I also had some really lovely Scheepjes Bloom and Catona in my stash that I gathered. 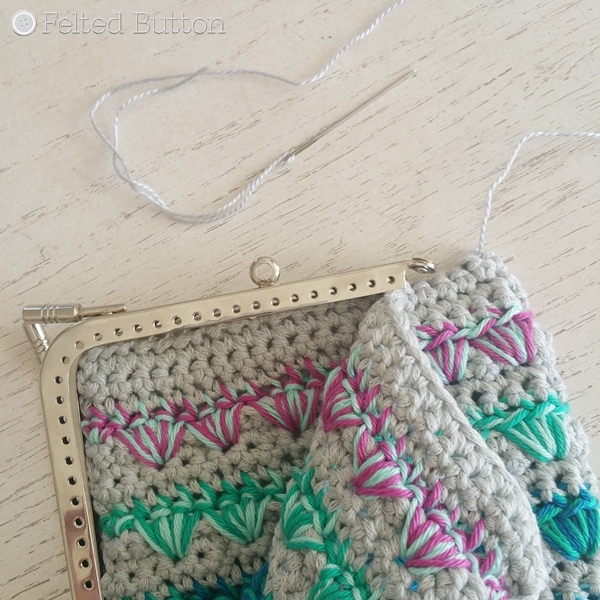 This pouch took 1 ball of Bloom* in the gray and bits of Catona* in 6 colors with a 5mm hook. 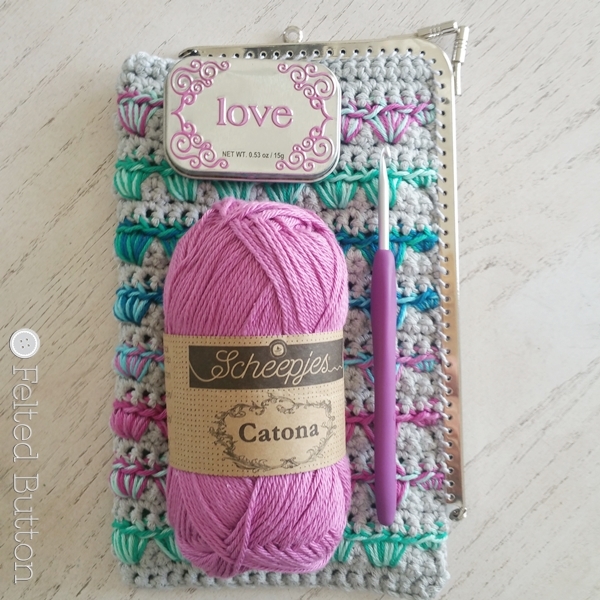 If you would like a different color scheme, no worries as Scheepjes Catona comes in 109 colors. Really. One-hundred nine! 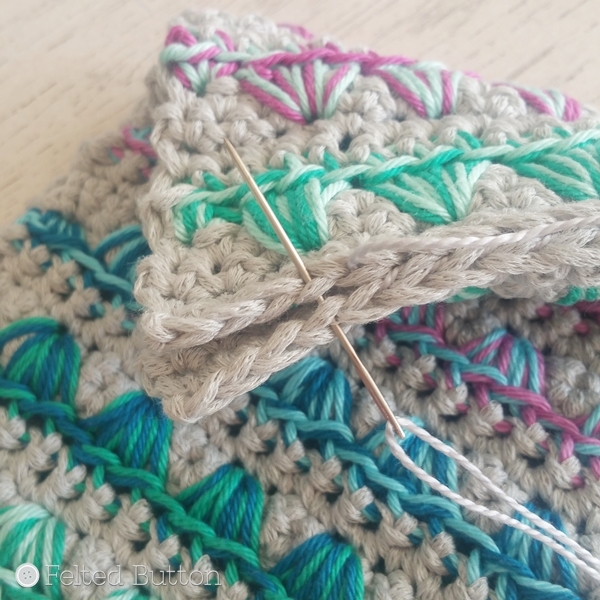 I also gathered a smaller crewel needle that was smaller than my yarn needle but with an eye large enough for some pearl cotton embroidery thread and just the right size to fit through the holes in my purse frame. But I think any thread will do. 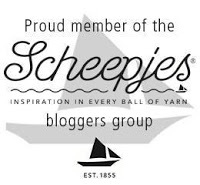 Scheepjes will be making the purse frames available through Wool Warehouse* soon, but until then, you can find them on Etsy here and other shops around the web for about $5. Mine is the large size (18.5cm X 10.5cm). There are also a lot to choose from here. 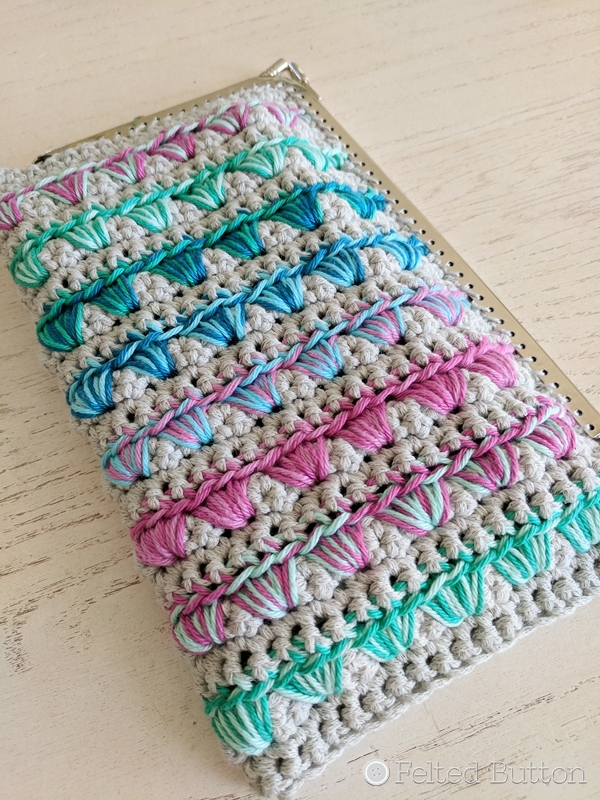 My finished pouch was 7.75" high X 10" wide (before folding in half) It is plenty roomy for my phone plus a lipstick or cash, but it's also a good size for a small project purse. 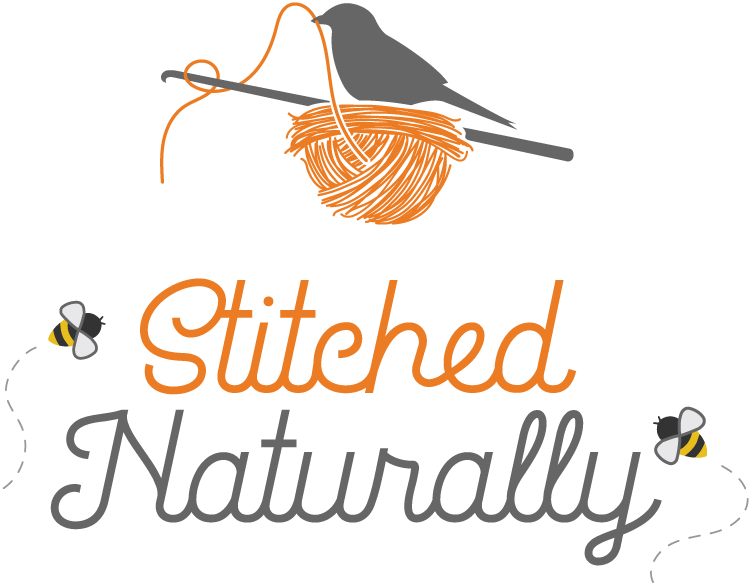 You can easily fit in your hook, a small ball of yarn, scissors, and a small container for stitch markers and a needle. 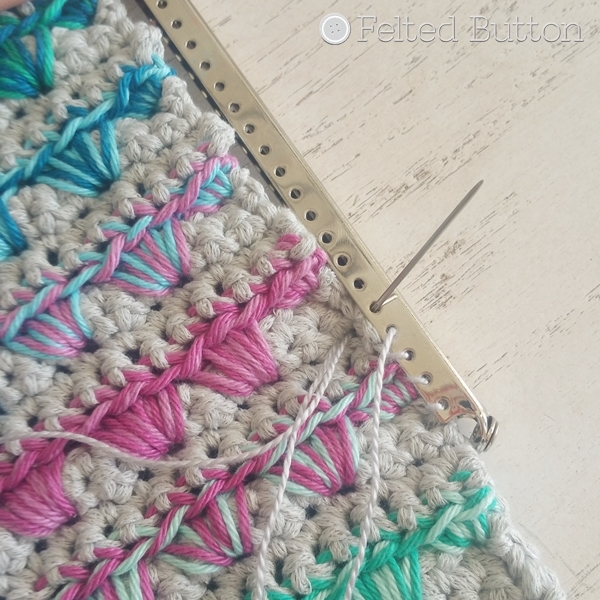 I like that this stitch was dense enough that you don't get holes so it doesn't need to be lined. 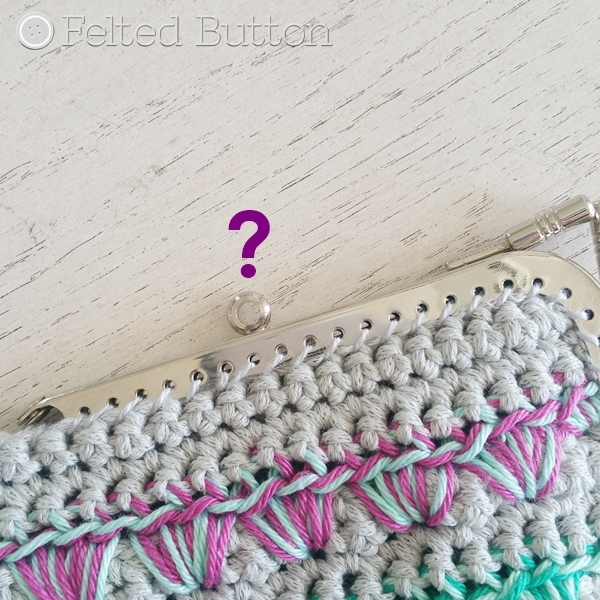 Gauge was not particularly critical to this project as I had plenty of yarn. If you want to make your pouch much larger, though, you'll want another ball of Bloom. If you want to adjust the width of your pouch, the multiples number is 3 + 2. So just chain your foundation in any multiple of 3 and then chain 2 more. Remember, the pouch is folded in half width-wise before attaching to the frame so keep this in mind when you adjust the width. The height can be adjusted by working additional repeat rows. Rep Rows 2-6 using colors B/C, C/D, D/E, E/F, A/B, B/C on each following Row 5 rep and ending on Row 3 rep.
You can tell this is the right side because of the little ridge along each colorful Row 5 left by that unworked loop. Fold in half width-wise, as shown below with the wrong sides together. 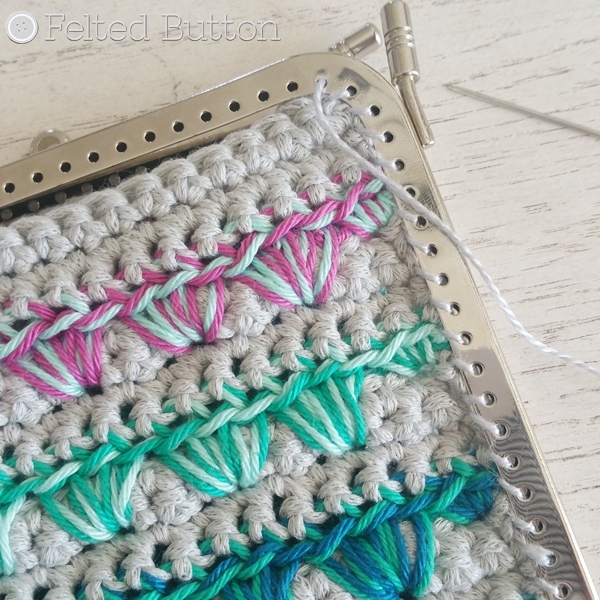 I started by joining my embroidery thread at the fold at the bottom corner and whipstitching across the bottom of the pouch. Then I worked around the corner and up the rough side until I reached the point where the purse frame would need to be joined to the edges. 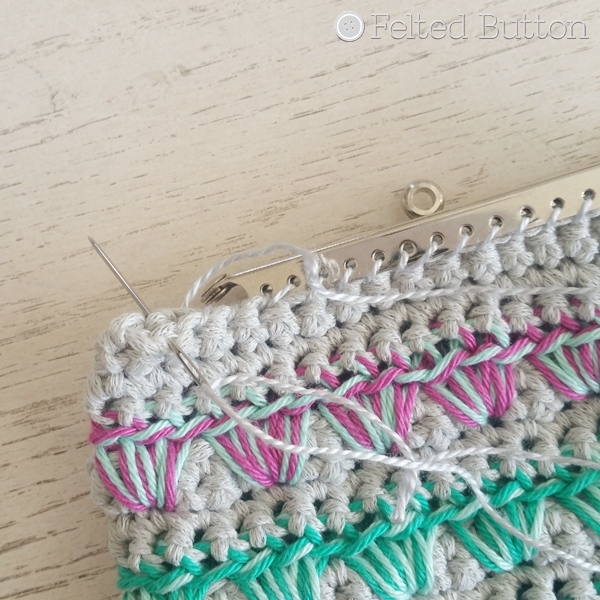 Continuing with my whipstitch and opening the frame, I inserted my hook down through one fabric edge, and then up through the next hole on the purse frame. I did this all the way to the top corner of the frame, whipstitching the corner of the fabric to the corner of the frame. ...until I got to the frame again and joined the other thickness of fabric along the top of the frame to the corner and then back down the side. When I got to the end of the frame, I fastened off. 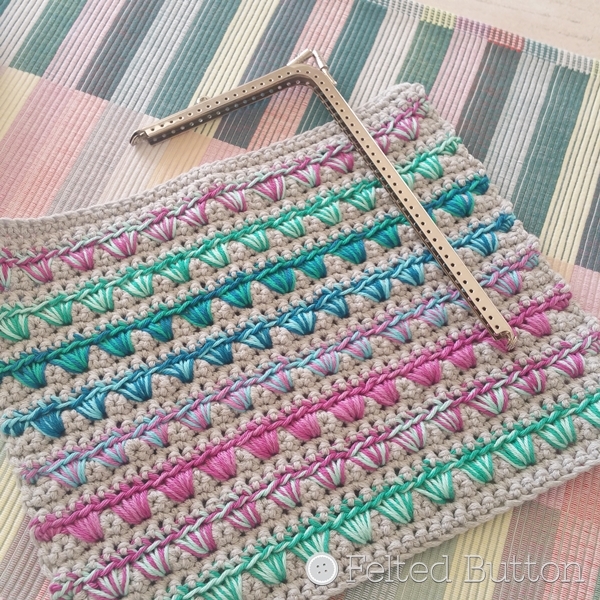 This awesome purse frame has a terrific little ring at one end. I'm thinking it would be adorable for a charm, or even a wrist strap, or a little tassel, but I'm a cross-body kind of gal. I ALWAYS wear my purse around me for the convenience of hands-free. (Don't tell, but I've been known to forget it's there and work in the garden while wearing my purse. Lol.) Do you think I could work up a cross-body thing with that ring? If not, I still think I need to "decorate" it--otherwise it looks so unfinished to me. 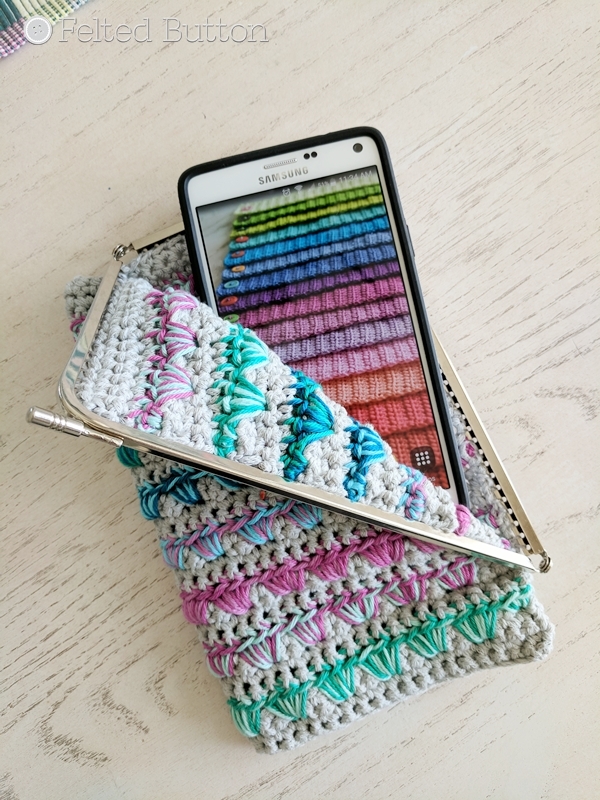 If you have any good suggestions or comments on this pattern or uses for the pouch, please leave them below. And feel free to share any Felted Button makes on my Facebook page here. Or follow me around on IG here or Pinterest here. 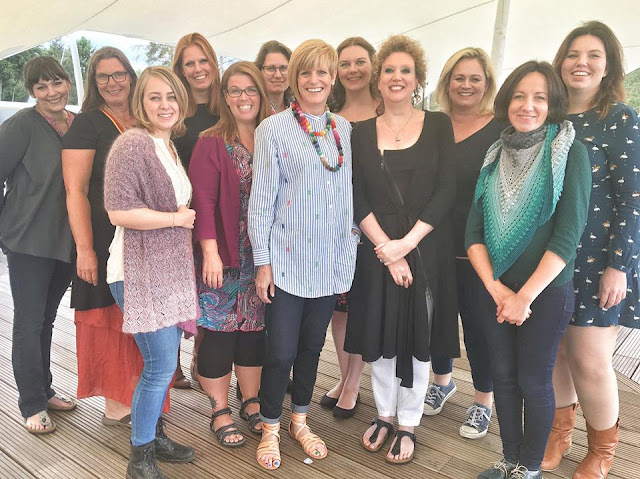 *This post contains affiliate links which if used cost you no more but provide me a small payment that helps me to provide free content for this blog. Lovely idea! 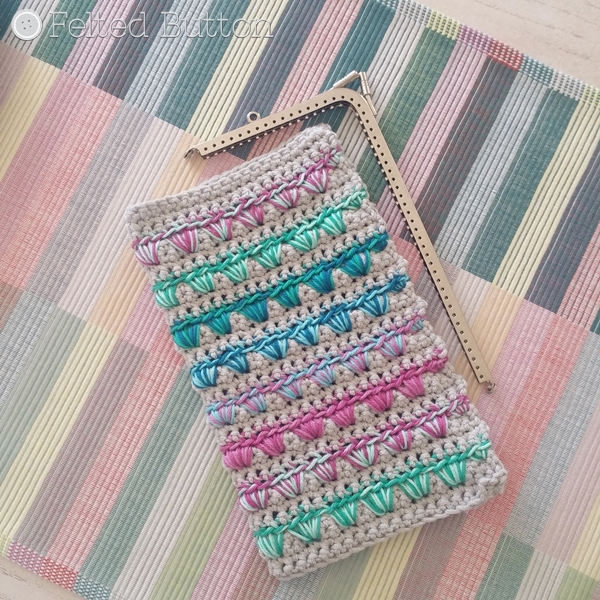 Love pouches and this one especialy. Can't find this frame. The link you gave is not working, and on Etsy, I can't find it. Wow, I love the look of the two strands of catona together, they are beautiful! An interesting design, I love it.